Boy Scout Troop 92 Eagle Scout candidate Jason El Massih and scouts from Troop 92 worked at Beals Preserve on September 8, 2012 installing gates to limit access to the ongoing Wildlife Habitation Improvement Project. Thank you Jason and scouts from Troop 92. 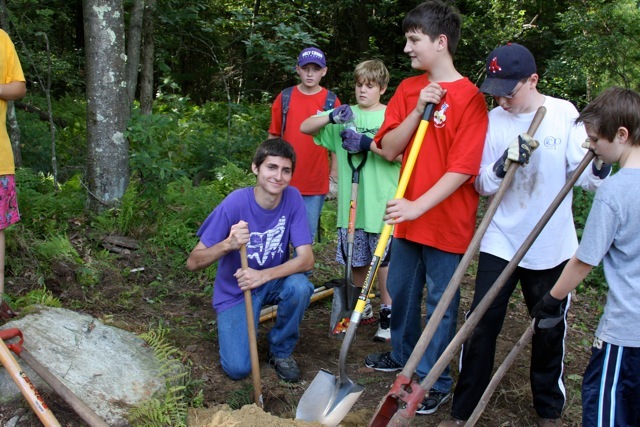 The Southborough Open Land Foundation (SOLF) was selected to receive funding from the U.S. Department of Agriculture’s Wildlife Habitat Incentive Program (WHIP). 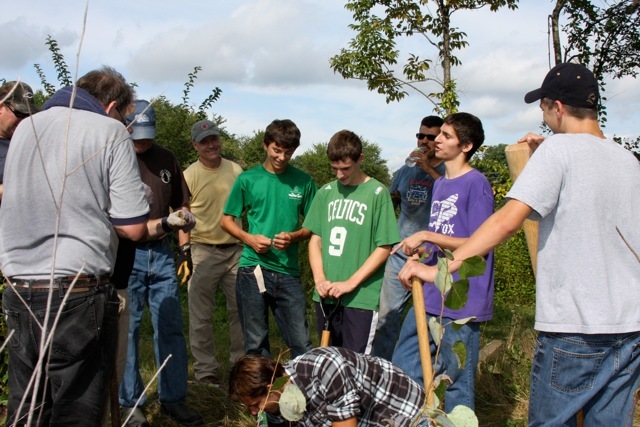 The Natural Resources Conservation Service, a branch of the U.S. Department of Agriculture, administers the program. The aim of the project is to remove invasive plants and to improve wildlife habitat for at-risk species such as the New England Cottontail and the American Woodcock. 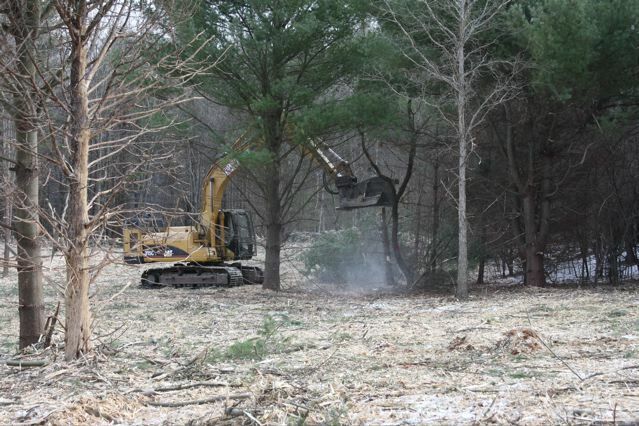 Approximately 6 acres of the Beals Preserve were cleared to create a shrubland, restoring that area to more closely resemble the landscape of fifty years ago. 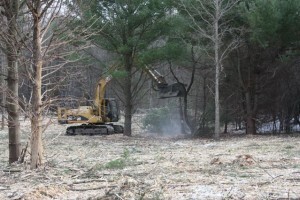 The Massachusetts Department of Conservation and Recreation gave official approval for the required forestry work. SOLF has committed to long-term management activities to ensure the integrity and viability of the improved wildlife habitat. The project began on January 3, 2011. The work was done by a mechanical mower and the picture shows the work in progress and the results of the clearing.